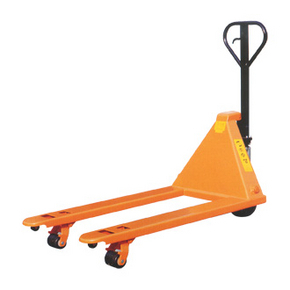 Soosung hand pallet trucks are used around the world today. Known for its outstanding versatility and durability, Soosung designed and built pallet trucks years of productive use. - Best solution for short distance transportation of heavy pallet loads, even in narrow pathways. - The mechanical and hydraulic systems are very simple with a robust steel structure. - Can be widely used in distribution centers, factories, supermarkets, warehouses and freight terminals.